The forecast for the end of the holiday season this year looks bleak as cold air and snow move throughout much of the country. This type of weather report will likely give people more reason to stay indoors and not venture outside for much other than to meet up with friends to watch football or kick off a healthy new year with a visit to the gym. The cold winter months can also keep potential home buyers and sellers out of the market until the temperatures warm up and spring begins to bloom. Home sales volume is normally higher in warmer months, with 40 percent of all homes sold last year during the summer. Yet, there are still advantages to selling a home during the winter, mainly due to inventory shortages and motivated buyers often willing to pay a higher price. Selling your home during these colder months can pay off, but keep in mind, preparation is still needed for your home to stand out to potential buyers. According to the National Association of Realtors’ 2017 Profile of Home Staging, nearly 80 percent of buyers’ agents said staging a home made it easier for a buyer to visualize the property as a future home. For homeowners interested in selling their home this winter, here are some typical listing and staging tips to keep in mind. With the festive, holiday season over, it’s important for potential buyers to imagine themselves enjoying wintertime in your home. It’s a good idea to decorate for the season when opening your doors for interested buyers, but don’t go too over-the-top. When hosting an open house, consider lighting the fireplace. Also, ensure your home is kept warm so potential buyers are comfortable when they walk inside from the cold. Make sure to shovel your driveway and sidewalks and clear snow off any decks or patios. Potential buyers should be able to easily access your home without the danger of slipping on ice or tracking in snow. Also, remove any icicles or built-up snow from your roof so your home looks clean and ensure your for-sale sign is easily visible in your front yard. Be sure to work with a Realtor, a member of the National Association of Realtors, who can share more tips for listing your home this winter. Greater Chattanooga Realtors is “The Voice of Real Estate in Greater Chattanooga.” A regional organization with more than 2,000 members, Greater Chattanooga Realtors is one of some 1,300 local boards and associations of Realtors nationwide that comprise the National Association of Realtors. 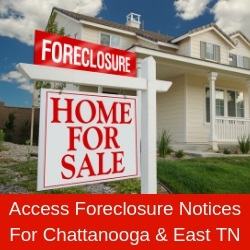 Greater Chattanooga Realtors service Hamilton and Sequatchie counties in southeast Tennessee and Catoosa, Dad and Walker counties in northwest Georgia. For more information, visit www.gcar.net.